Remember just as God knows our strengths; evil knows our weaknesses. By God knowing our strengths, God send Jesus Christ to die on the behalf of Mankind, because God still saw things that were still in reflection of His Laws on Divine Love, within Mankind. On the other hand, Satan, sees our weaknesses, and continues to poke and prick at them…or take advantage of them, to bring you further away from God and His Divine Ways of Love and Forgiveness. Evil does this so that we will think with our primitive “common sense”…our HUMAN LOGIC, instead of the DIVINE LOGIC, that God so willingly shares with you….and we fall easily prey to evil and its ways. Jesus Christ showed us through His Life and Teachings, how to rely and live by the Divine Logic of God, the Father of Creation. He taught us through His Life Example, how to conquer Satan and his evil. 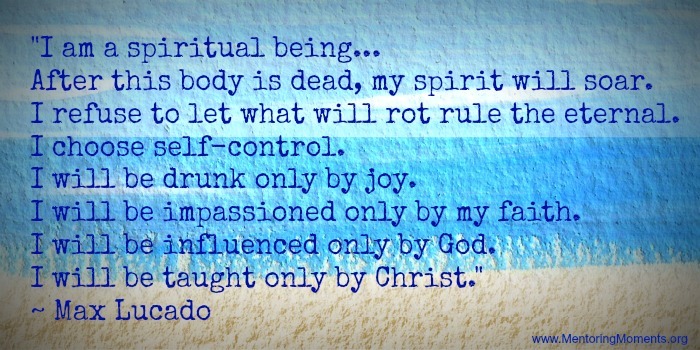 We must remain in SPIRITUAL CONTROL. If we don’t evil will run and jump in to drive you further away from the greatness that God created for you to be, which is to be in His Image. Evil wants you to act out in your sinful Human Nature. Evil wants you to act out of control from your human emotion. Someone who is in SPIRITUAL CONTROL, always asks GOD what they should do, and provides His Wisdom, and calmness to ANY situation. When you feel that you are not in SPIRITUAL CONTROL, DIVE INTO PRAYER and the HOLY SCRIPTURES. Such things should take such deep root within us, so that the bright light that God has lit within you, touches every soul that you encounter in your life path. Once anyone has tasted or felt the touch of this love, they will never forget such a feeling, and will constantly seek for it again. When you are in SPIRITUAL CONTROL, you will always be in tune with God and His Love. You will never feel alone, because you KNOW God is in everywhere and in everything. You will always feel loved, because you KNOW of God’s Love for you; through Jesus Death on the Cross at Calvary. This will make evil run the other way…away from you. Why? 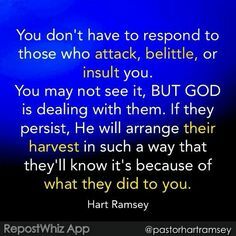 This is when God intervenes, and allows His Angels, and Jesus Christ to fight your battle for you. And Evil shivers in fear of them. When Jesus Christ died on the Cross, at Calvary, that is when Satan knew his rule over the earth was over, and the clock is ticking until Jesus Christ’s return to reclaim God’s People back to Abba‘s Eternal Paradise. God gives us till the last breath in our earthly bodies to return back to Him….He wants to give us every opportunity possible to finally find ourselves in SPIRITUAL CONTROL, and to CHOOSE His Ways of Divine Love. We must keep in mind the tools of evil; in order to remain in SPIRITUAL CONTROL. What are its tools? The seven deadly sins: 1) Lust; 2) Greed; 3) Gluttony; 4) Sloth; 5) Pride; 6) Wrath; 7) Envy. Through deception, and allowing for you to deny God’s Truth, Satan allows and encourages for you to fall sin to these things. God is innately within all of us. Since we were all created from Him, He has planted Himself within all of us; whether we decide to nurture that part of our lives or not. In moments when the logic of this world has failed us, we will then break away from the world; and that is when this part within us is awakened, and God speaks to us. God says that we must be broken vessels, in order for Him to speak to us. And it is in these moments that MANY will know of God’s Existence. It is our CHOICE, as to whether we will CHOOSE to be in SPIRITUAL CONTROL, and ask God in helping us to do so. Or to CHOOSE not to, and to deny God’s Existence, and conform to the ways of this world, to which God states, clearly, that He is not a part of. It is so easy to take the path more travelled; however, that path leads to our eternal destruction. It is also very hard to take a path less travelled; however, that path leads to our eternal life with the Father. Being in SPIRITUAL CONTROL, requires taking a path LESS travelled. It requires for you to grow stronger in your faith, and to fight what makes us to violate God’s Laws of Divinity. In the end, all that was once unacceptable to God and to His Children on this Earth, will become acceptable; and whatever was once unacceptable, will become acceptable. So prepare for the Path of Eternal Life, by being in SPIRITUAL CONTROL, in taking the path less travelled. Remain focused on what is acceptable to the Father of Creation. When you are in SPIRITUAL CONTROL, you will know of God’s Truth. And as Jesus said, “Truth is not seen or heard; but FELT.” So….How is your faith these days? This entry was posted in Thoughts and tagged A call to help fellow man, Abba, Armor of God, Battling Evil, Christ, Christianity, compassion, discernment, DIVINE LOGIC, enduring trials, Evil, evil ways are temporary, Faith, Fight over souls (good vs. evil), God, God's Love, God's Promise, Jesu, Jesus and His Crucifixion, Jesus Christ, Satan, Satan's deception, Self Refinement, Spiritual Battles, Trials and Tribulations, Unconditional Love on July 20, 2013 by foodforthespiritualsoul.